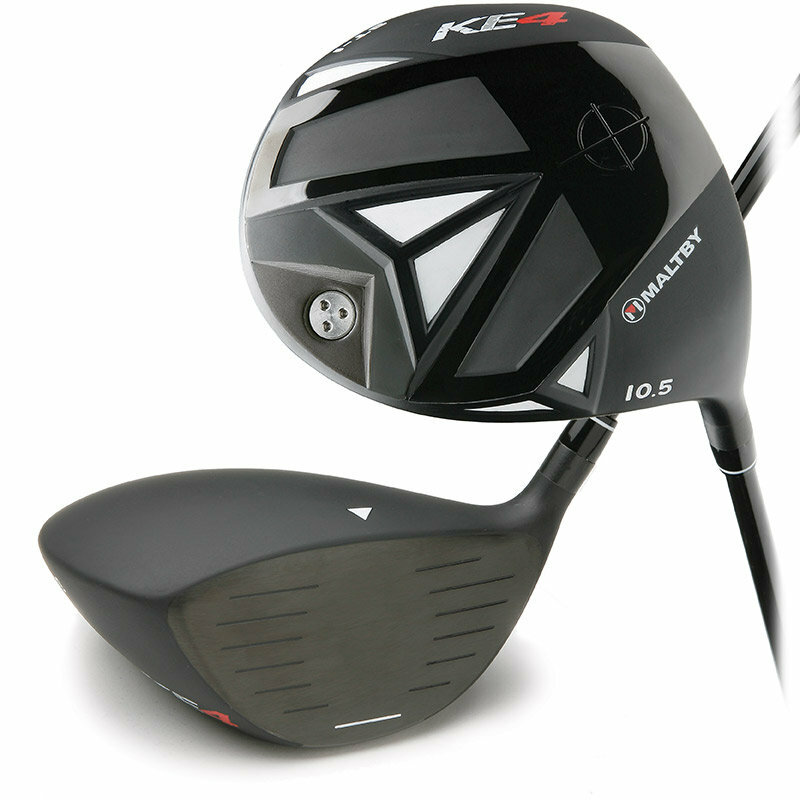 The Maltby KE4 SF-1 driver geometry was inspired by the F-117 Nighthawk Stealth Fighter for improved aerodynamics and eye-catching aesthetics. Precision Forged using multiple forging steps results in extremely tight fitting titanium shell components as well as denser, tighter material grain structure for improved sound and feel. Because the titanium shell components fit so precisely, valuable weight is saved during the plasma welding process to allow for a 198 gram head weight using an interchangeable 6 gram screw weight without sacrificing the 460cc volume. Because the KE4 head weight can be adjusted from 194 to 206 grams, the custom shaft length and weight options are nearly endless. With a deep (2.312”) VFT Cup Face design, The effective sweet spot is maximized for increased ball speeds over a greater area of the face. The unique aerodynamic sole design reduces air friction and places mass low and rearward to increase MOI and further enhancing forgiveness. The attractive matt black crown finish reduces glare and the black PVD treatment increases metal strength and durability for a very “stealthy” look at address and in the bag.